What does it mean to eat more ethically? Generally, ethical eating focuses on putting thought into where your food comes from and the impact it has on other humans, animals and the environment. It can mean eating more organic foods, looking for local or even becoming a more veggie-centric eater. While people have a lot of reasons for wanting to eat ethically, most decide to make the change for moral or health issues – and it can make a big difference in how you approach every meal of the day. If you’d like to start eating in this manner, you can take it on little-by-little by making some of the small changes we’ve suggested here. Eventually they may add up to something big! Try out these ethical eating basics to get started. Eat less meat. Most meat comes from factory farms that mistreat animals and it also takes a great deal of resources to produce, transport and store– much more so than veggies. Eat less meat to reduce your impact on the environment and encourage more cruelty-free farms. Grow your own vegetables. There’s no better way to get fresh, organic produce than by growing it yourself. Even if you don’t have a backyard, a sunny windowsill can make a great garden. Find organic products. From produce to dairy, look for products at the store that are certified organic. Of course, make sure to do your research as well, as some companies will exaggerate the greenness of their products. Do your research. If you want to be smarter about what you eat, do some research and really get to know what’s out there, what’s good for you and what’s not. Nothing will better help you to be an ethical eater. Learn where your food comes from. Most of us have no idea where the food at the supermarket originates. Start buying from places where you know for sure where the food has been sourced, or visit farms yourself. Start composting. Food waste can make excellent, rich soil when it breaks down, so don’t throw it out. Eat less processed food. Processed foods are very often less healthy, take more energy to produce and come with loads of packaging. Eat with the seasons. Do you really need to gorge yourself on tomatoes in the winter? If you want to eat ethically, eat seasonally. Choose foods low on the food chain. Animals that are higher on the food chain can often be packed with chemicals, as they not only absorb it from the environment but from the animals they consume as well. Stick to plants and plant eating meat when possible. Find your own comfortable diet. There are no set rules about what makes a sustainable eater. Some will want to give up all animal products, while others won’t want to even imagine a life without eating cheese. Find your own balance and don’t let others make you feel bad about it. Focus on plants. The human body needs a good amount of plant nutrition to stay healthy. Anytime you make up a plate, only a small portion of it should be meat. The rest should be veggies, fruits, legumes and grains. Learn how to make your diet and cooking methods more sustainable and ethical with these tips. Cut out the fast food. Fast food isn’t good for you or the environment. Eat it much less often or not at all. Waste not, want not. Wasting food just isn’t good, so don’t buy more than you know you can eat. Plan your meals. When you plan your meals it will be easier to avoid wasting food. You can reuse ingredients and still have a great meal every night of the week. Eat at home when possible. That way, you’ll know just what is going into your meal and where it came from. Learn to DIY. Canning veggies and fruits can be fun and can guarantee they’re organic and fresh. Try a raw diet. It will mean less cooking, though perhaps a lot more chopping, and will help you get more nutrients out of everything you eat. Eat less. Most people eat far more food than they really need. Cut back on calories and you’ll not only save money, but feel better as well. Cook simply. Cooking simple meals will help you avoid waste, as you’ll need fewer ingredients. Think before you eat. Never just eat without thinking. Being an ethical eater means taking the time to really consider the best food choices for yourself. Take a hard look at your kitchen cabinets. What takes up the shelves in your cabinets? If it’s junk food, processed meals and other less than healthy options, you’ll want to give your pantry an overhaul. Here you’ll learn some ways that you can make sure what you bring home from the store is suitable for an ethical diet. Look for fair trade. Fair trade foods will help ensure that the workers who produced them were paid a fair wage– especially important with foods like chocolate and coffee. Avoid slavery foods. Some foods aren’t marked fair trade, but should be to help consumers who care. Fruits like strawberries and orange are often harvested by enslaved workers– even here at home– so always know where your foods are coming from or avoid them altogether. Get free range eggs. These eggs are produced by chickens that aren’t kept in cruelly small cages– better for the birds and you. Shop for grass fed beef. Cattle aren’t meant to eat corn, they’re designed for grass. The meat will taste better and the cows will be healthier– a win-win. Head to a local farmer’s market. There, you’ll have access to a whole host of fresh, local and seasonal foods that will whet your appetite. Avoid genetically modified foods. While not all genetically modified foods are evil, you’re better off sticking with traditional varieties when possible. Choose seafood wisely. Some comes from endangered, over fished species and while other kinds will come from unsafe or cruel fishing methods. Choose hormone-free animal products. What an animal eats is passed on to you when you consume it or the products it produces, so try to limit the amount of hormones in your food. Embrace soy. Replace one meaty meal a week with a soy alternative. It’s cheaper and better for you. Know which foods are most important to buy organic. 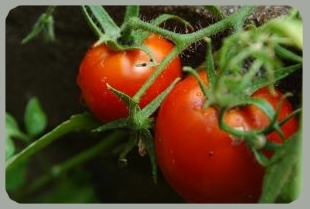 Some products, like tomatoes, have thin skins that allow them to easily absorb chemicals. Others, like bananas, have a thick, peelable skin that makes it unnecessary to invest in an organic version for health reasons. Read the label. Sometimes things seem a lot healthier than they really are. Always read the label to make sure you’re getting what you bargained for. Be smart about food choices. Sometimes organic or local isn’t always better, so make the food choices that are not only right for you, but best for the principles you care about as well. Frozen may be better. In some circumstances, getting frozen foods may be better. Some foods are hard to transport even short distances and don’t preserve well, so they’re best when eaten frozen, despite the energy it takes to keep them cool. Don’t be so superficial about produce. A few nicks and bruises on a veggie or fruit might not make them look pretty, but it isn’t likely to change how they taste. You don’t have to be an ethical eater all alone. These tips will help you not only eat better, but enjoy the benefits of a community as well. Volunteer. You can get involved in a wide range of organizations that help promote sustainable eating, from those that advocate for animal rights to those that start local gardens. Start a community garden. If your community doesn’t already have a program, start one. If you do have one, join in and help. You’ll get good eats and meet new, like-minded friends. Give to charities. Whether you have too much food at your home or just want to give back, you can help others in your community have something to eat as well by giving to food banks and other food charities. Chose ethical eateries. When you do go out to eat, try to find establishments that are choosy about where they get their food and how they cook it. Visit local farms. If you’ve got the time, take a trip to a local farm that allows visitors. It will give you a chance to learn more about how plants and animals are raised and may open your eyes to new possibilities. This entry was posted on Thursday, March 3rd, 2011 at 2:14 pm	and is filed under Health News. You can follow any responses to this entry through the RSS 2.0 feed. You can leave a response, or trackback from your own site.